When it comes to writing reviews I either like to strew and spend a very long while thinking or write immediately to capture the experience of reading. 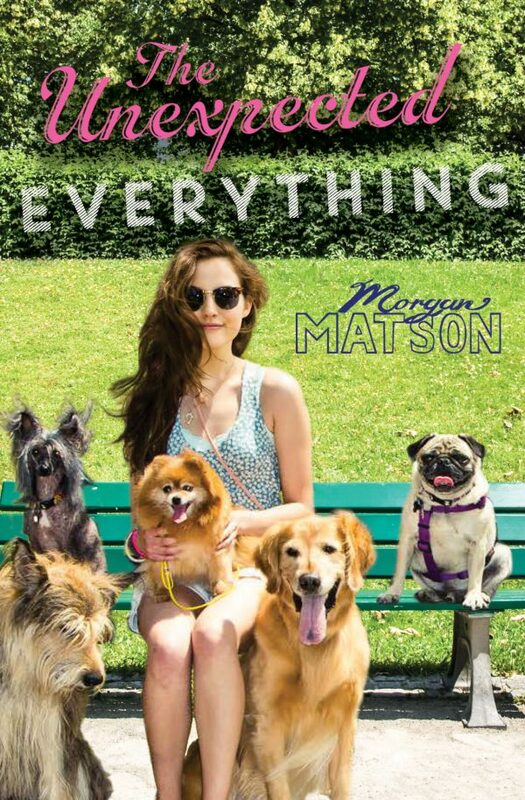 Approximately 2 minutes ago I finished reading The Unexpected Everything by Morgan Matson. I became aware of this book from a few booktubers I watch and then it was announced as the common read for the Biannual Bibliothon. I ordered it on Amazon and devoured this 5oo page book in a few short days. Without further a do, here is the NO SPOILERS plot line: A group of young women, just wrapping up their junior year in high school, go through a summer of significant transformations. The story is told through one of the girls, Andie’s, perspective. She had a plan for her summer, and life, and as the title suggests, a few unexpected things happen to her thought out plans for the summer. The book captures the essence of what it’s like to be young, let your guard down for the first time and fall in love both romantically and with friends. It was like tumbling back into your own history of love, mistakes, hang ups, losses and feeling it all like it just happened. However, it was enchanting. I sometimes feel like there is something universally believed that ‘cool’ is all about being detached, apathetic, cynical and hard to connect to. I think many of us, myself included, have wished we could do just that. Mainly, to not feel the pain in our lives. The love stories that didn’t work out, the friendships that were broken, even the ones that are strong leave scars with us. It takes immense vulnerability to feel anything, though especially the experiences that shape our stories, the ones that touch our souls. The people we hand our heart to in this world become authors in our lives. We give them permission to have access to us in a deep and profound way, we trust and open up to them, and thus those experiences shape us. In the most simple of terms this could be called a coming of age story, although, I think it’s so much more than that. Matson’s writing reminds us of how we once felt, before that first unfortunate heartbreak and loss of those that meant the world to us. Overall, I enjoyed this read though I am not sure it’s for everyone. It’s not dainty book, and I think it could have been trimmed down a bit, however, I didn’t mind the pages or parts that perhaps could have been spared because I enjoyed the experience of reading it. This feels like a book to love, not overanalyze. A read to enjoy, not meticulously dissect. Essentially the perfect summer read. Which summer read would you recommend?